Join this group to recieve Steam notifications of all UGX-Mods related events such as community gameplay events, contests, announcements, and more! Simply visit our ModDB page. 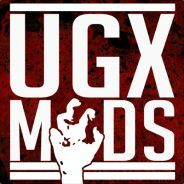 We (UGX-Mods) thank everyone who is going to vote for us this year and the people who voted in 2013. And now... let's get those votes! Hitmarkers, New Zombies, Xbox 360 Controller Support in UGX Mod v1.1! but, in the end, that guy is still in working on the origins map on WaW? anybody got any mitsubishi mirage / evo models i can use for a map. please sub and rate and let your friends know.